One gallon reservoir. 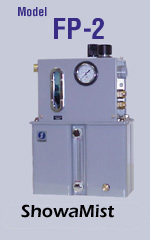 Has built-in air filter, water trap, air regulator, pressure gauge, solenoid valve, conduit box, liquid filter. Measures 8-9/16" wide, 5-5/16" deep, 13" high. Coolant filter extends 1-3/4" from side. 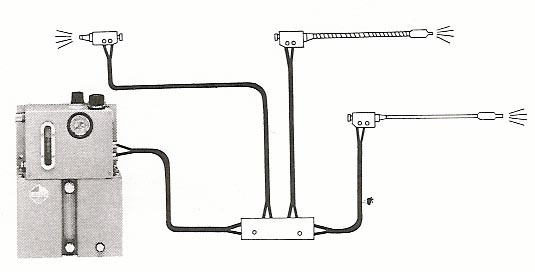 To be used when branching two or more jets from a single unit. Each block measures 1-3/16" high, 1-5/16" deep. Showamist can be adapted to almost any cooling need. Using a dual tee block, you can run hoses of different lengths from one Showamist to many different machining surfaces. 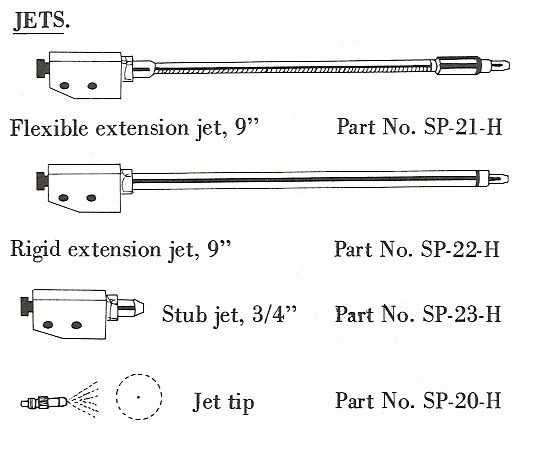 You can use any combination of flexible extension jets, rigid extension jets, or stub jets. Assemblies come with extra fittings for elbow connections and line shortening when needed. Custom lengths not listed below are available.